Terra Forming Terra: 12 Prophecies That Indicate Trouble Ahead for Papacy? 12 Prophecies That Indicate Trouble Ahead for Papacy? Prophetic utterances unfortunately gather enthusiasts and inform imaginations. Worse they clothe themselves in ambiguity to strengthen their claims. At no time in history has it been impossible to argue timeliness for a prophecy of some sort or the other. It is my opinion, now that we clearly understand the physical nature of the human spirit and that most spirits are at best waiting for another trip into the physical tier we reside in, that much prophecy is dangerously mischievous and the informant is not anyone's friend. The second problem is that time itself is effectively sped up thanks to modern communication. If something goes wrong, it will do it quickly and globally. The Arab Spring should be a wake up call. Thus consider this item as entertainment first however convincing. It is not destiny either. Recall that little item about free will? Chooses are not taken away from you. A more dangerous risk facing this pope is the real threat of an Islamic Assassination. That should have security forces lying awake at night. Otherwise, his health is dicey and he is unlikely to be with us long. Then these prophecies will to slide into the dustbin. The end of the world is not coming but heaven on earth is because we can achieve that all by ourselves. Better yet, the speed up of time will bring it about far quicker than anyone imagines. This blog goes a long way to sketch it all out. As a Catholic theologian, I say this with great trepidation, and I ask the reader to hear me out before drawing your own conclusion. It is apparent to faithful Catholics today, and more and more so as the past year progressed, that some of Pope Francis’ actions and teachings have raised legitimate and serious concerns. This article asks you to look at the disconcerting actions and statements of Pope Francis and the “Francis effect” in the light of the potentially related prophecies about him. Of course, time will make things clearer as to his plans and agenda, as he moves beyond his now famous rhetoric toward implementation. So for now, I withhold any conclusions, instead giving Pope Francis the benefit of the doubt, always remaining obedient to the Church as a faithful Catholic theologian. But, alert and investigative I shall remain, and I think that if he is a valid Pope, and the prophecies are wrong and his disturbing rhetoric is just for effect, he will be glad for my vigilance on behalf of the Church. Nevertheless, it is incumbent upon me to present to you the reader some of the reasons that have led me to this current supposition. First, I will present the credible heavenly prophecies about the False Prophet, then what to expect from the False Prophet according to the prophecies, and finally how Catholics should respond to the possibility and growing concern that Pope Francis might be the False Prophet. In the final persecution of the Holy Roman Church there will reign Peter the Roman, who will feed his flock amid many tribulations, after which the seven-hilled city (Rome) will be destroyed and the dreadful Judge will judge the people. So, what does this prophecy tell us? It tells us that during the reign of Pope Francis (during the period of the 112th pope of the prophecy), we will endure the final persecution. It is not in the future, but right now. And that Rome is about to be destroyed. This also agrees with the La Salette prophecy (see below). Of the 112 Popes in the Malachy prophecy, the last pope listed, Petrus Romanus, is the only one that did not have a number. Why would all the other popes have a number except the last pope? Is this a hint about his invalidity? Possibly. So, “Peter the Roman” does not refer to the “sitting” earthly Pope; it is not Pope Francis, but possibly someone else? More on this later. And the prophecy also tells us the Judge is returning in this generation to initiate judgment, possibly to usher in the great new Era of Peace that Our Lady of Fatima foretold. Rome will lose the faith and become the seat of the antichrist… all the universe will be struck with terror, and many will let themselves be misled. So, according to this prophecy, our generation will indeed experience the final battle of the Book of Revelation, and the beginning of the millennium of peace. So, these events are upon us even now. There comes out of the earth, by way of aid to the black beast which arises out of the sea, a beast which has two horns like those of a lamb… intimately connected to that of the priesthood… The beast with the two horns like a lamb indicates Freemasonry infiltrated into the interior of the Church, that is to say, ecclesiastical Masonry, which has spread especially among the members of the hierarchy. This Masonic infiltration, in the interior of the Church, was already foretold to you by me at Fatima, when I announced to you that Satan would enter in even to the summit of the Church. The task of ecclesiastical Masonry is that of destroying Christ and His Church, building a new idol, namely a false christ and a false church. The Church will know the hour of its great apostasy. The man of iniquity will penetrate into its interior and will sit in the very Temple of God, while the remnant which will remain faithful will be subjected to the greatest trials and persecutions. The apostasy will be, as of then, generalized because almost all will follow the false christ and the false church. Then the door will be open for the appearance of the man or of the very person of the Antichrist! At the time of this tribulation a man, not (authentically) canonically elected, will be raised to the Pontificate, who, by his cunning, will endeavor to draw many into error… There will be such diversity of opinions and schisms among the people… for in those days Jesus Christ will send them not a true Pastor, but a destroyer. The only way Pope Francis could fulfill this prophecy, if it is true, is if he personally held a (secret) heresy in his heart at his election. Then he would not have been validly canonically elected. If not validly elected, then he is “a destroyer” and the papacy would be vacant, with an imposter on the throne of Peter – which is at least possible. When the (true) Church had been for the most part destroyed, and when only the sanctuary and altar were still standing, I saw the wreckers enter the Church with the Beast (antichrist)… I see the Holy Father (Benedict?) in great anguish. He lives in a palace other than before… I saw a strange church being built against every rule… the new heterodox Church of Rome… Everything was being done, according to human reason. I saw all sorts of people, things, doctrines, and opinions. There was something proud, presumptuous, and violent about it, and they seemed to be very successful…. The (true) Church is completely isolated and as if completely deserted. It seems that everyone is running away. Everywhere I see great misery, hatred, treason, rancor, confusion and utter blindness. O city! O city! What is threatening thee? The storm is coming, do be watchful! [I also saw the various regions of the earth. My Guide (Jesus) named Europe and pointing to a small and sandy region, He uttered these words: ‘Here is Prussia (East Germany), the enemy.’ Then He showed me another place, to the north, and He said: ‘This is Moskva, the land of Moscow, bringing many evils’.] To read more on the prophecies of Russia and the coming second wave of communism, see this article. Treachery will touch the throne of Peter… marked by a serious conflict between the true Church and the false one. There will be TWO THRONES, but only on one will be the true successor of Peter… an arrogant Pope will divide the Church. His orders will be obeyed and what is precious will be thrown out. A great spiritual confusion is on the way… the one who could have been Peter will become Judas. He will open the doors for the enemy and will make men and women of faith suffer… The church will be without Peter… a war will explode on Rome and there will be few survivors. Listen to the true magisterium of the Church and flee from the lies of the devil. The wolf in lamb’s clothing will enter the house of God and occupy a place of honor. New ideas will arise, but the truth of my Jesus is in the Gospel… Humanity will be surprised by a false prophet. Actions considered prodigious will fool many people. Be alert. Love the truth and defend it. Those who remain faithful will experience great joy, for the Lord will come with His angels and the just will be protected. A great spiritual battle will occur and only those who are faithful will be able to support the weight of the cross. The day is coming when many will seek the banquet, but the table will be empty. There will be great persecution of the Church of my Jesus and my poor children will carry a heavy cross. Trust, and everything will end well for you. I (Mary) came from Heaven to prepare your victory. Follow my Son Jesus. Embrace the truth, for only in truth will you see the definitive triumph of my Immaculate Heart. Have courage, faith, and hope. In everything put God in first place. Go forward. Amen. Peace be with you. The day will come that His Church will rise to the ordeal and the suffering will be great for men and women of faith. It will be a time of persecution, humiliation and abandonment. Greater pain did not exist. The enemies of God will unite and destroy temples in various parts and kill the faithful. Days of darkness will come to church, but when all seems lost The Lord will give to His Church to the great victory. A time of great tribulation for the Church has come. The Church will live moments of great affliction and faithful people will weep and lament. Bend your knees in prayer. I ask you to have the courage of John the Baptist. Defend without fear the true doctrine. Whatever happens do not allow the flame of your faith to be extinguished within you. My Jesus will not abandon His Church. The cross will be heavy and many consecrated persons will suffer death, but by the grace of my Jesus, a man of faith will come forth who will take the Church to her final great victory. Everything I have announced to you in the past will occur, but in the end there will come to the elect a great and joyous victory. The true Church of My Jesus will be victorious. The false church that penetrated into the Church of My Jesus will be defeated. God will separate the wheat from the chaff. The day will come when all that is false will fall to the earth. God will separate you from evil and those who listen to the true teaching of the Church will experience a great victory. The work of the devil will infiltrate even into the Church in such a way that one will see cardinals opposing cardinals, and bishops against other bishops. The priests who venerate me will be scorned and opposed by their Confreres. The churches and altars will be sacked. The Church will be full of those who accept compromises and the demon will press many priests and consecrated souls to leave the service of the Lord. Is this referring to Pope Emeritus Benedict XVI? The more it seems that the world is apparently at peace and they sing the praises of peace, the more they hide wars, revolutions and tragic scenes for poor humanity, under that ephemeral and disguised peace. And the more it seems that they favor my Church, singing hymns of victories and triumphs, and practices of union between the State and the Church, the nearer is the brawl that they are preparing against Her. John of the Cleft Rock (14th Century) prophesied: Towards the end of the world… the Pope with his cardinals will have to flee Rome in tragic circumstances to a place where they will be unknown. The Pope will die a cruel death in his exile. The sufferings of the Church will be much greater than at any previous time in her history… About the year 2000 A.D., Antichrist will reveal himself to the world. Joachim of Fiore prophesied: Antichrist will overthrow the pope and usurp his see. Everywhere there is war! Peoples and nations are pitted against each other… Rome also collapses in tumult. And I see the King of Rome with his Cross and his Tiara, shaking the dust off his shoes, and hastening in his flight to other shores. Your Church, O Lord, is torn apart by her own children. One camp is faithful to the fleeing Pontiff, the other is subject to the new government of Rome which has broken the Tiara. We are warned about how we will be treated! So why should we fight? Because God has called us to be His watchmen (see Ezekiel 33). Should we be surprised that the evil one would react this way towards us after we expose him and his hidden plans? May God guide us in His truth and mercy according to His Divine Will. With all these prophecies about the False Prophet antipope, who then is the “Peter the Roman” of St. Malachy’s prophecy, who is supposedly currently reigning as the final pope of this era? Well, the prophetic messages of Pedro Regis, who has his Bishop’s recognition, have stated that this is none other than St. Peter spiritually reigning over the Church now from Heaven, because according to their prophecies, the earthly papacy is now vacant, held by an imposter. Whether this is true or not, I do not know, but it is possible. Time will tell. Some may interject at this point that Catholics are not required to believe in private revelation, but I ask you – Do you think God would be pleased with an outright dismissal of His prophetic word just because it makes us uncomfortable. Are not these prophecies founded in Scripture anyway? And didn’t St. Paul say regarding prophecy that we are to “test everything and hold fast to what is good” (1 Thess. 5:21) and Urban VIII say about reported prophecy that “It is better to believe than not to believe”? I have seen one of my successors, of the same name, who was fleeing over the bodies of his brethren. He will take refuge in some hiding place; but after a brief respite, he will die a cruel death. Does this prophecy refer to Pope Emeritus Benedict? Quite likely! St. Pius X prophesied that the Pope who flees Rome and dies a cruel death has the same name as his. Pius X and Benedict XVI both have the same given name of Joseph. Thus, Benedict might be the “Bishop in white” who is martyred in the 3rd Secret of Fatima and the Pope who is martyred in John Bosco’s dream. Cardinal Joseph Ratzinger stated about the 3rd Secret of Fatima and thus in general about these prophesies: The vision speaks of dangers and how we might be saved from them. In other words, these are warnings and are at least in part conditional. Nevertheless, the prophecies of the False Prophet and the Antichrist in the Book of Revelation shall be fulfilled, including that they will be thrown alive into the fiery pool (Revelation 19:20). December 17, . I have offered this day for priests. I have suffered more today than ever before, both interiorly and exteriorly. I did not know it was possible to suffer so much in one day. I tried to make a Holy Hour, in the course of which my spirit had a taste of the bitterness of the Garden of Gethsemane. 1. Parades (False) Humility with Masterful Deception: Evil is pride masked as humility while masquerading. Every “humble” thing he does will be intentionally broadcast through the media, and he will claim to just be a normal humble person while his campaigns will show him to be a shameless exhibitionist. This propaganda will be exploited to raise his own popularity and seeming egalitarianism. Instead of defending the Faith, he will seek to impress the world’s Catholics by his actions and teachings. His performance of humility will not only be used to denigrate Benedict XVI and the rest of his predecessors, but to portray Benedict XVI as some uncharitable hardline traditionalist. If this occurs in the current pontificate, then we will start to see two sides dividing: Francis Catholics vs. Benedict Catholics. He will not be who he appears to be, as the False Prophet he will be one of the greatest deceivers in human history, thus he will appear even perfectly to be the opposite of what he is, even more so than if he was really who he appears to be. Thus, he will come across playing his part more perfectly than a real Pope would, at least at first. All other Popes will be shown to have been less than they should have been, in the light of who he pretends to be. He will appear to be a Pope of Popes. But, his inconsistency with tradition and veiled self-promotion will be one of the “signs” of pretension that he is the False Prophet. 2. Displays Unexplainable Charisma and Achieves Quick Global Influence: Unexplainably and immediately loved by the world and the media, with an unprecedented colossal popularity, where no matter what he says or does, it will only be interpreted one way, he will engage in double speak (speaking to both sides at the same time, out of both sides of his mouth) thereby intentionally causing confusion for the faithful. He will be treated like a living saint. Such a force will accompany him that not one word out of his mouth will be questioned. After some time, he will also appear to have supernatural gifts and people will believe he can perform miracles. Anyone who opposes him will be criticized and considered a heretic (the very opposite of what is true). All such souls accused of being heretics will be ridiculed and belittled, and even persecuted. 3. Utilizes the Law of Gradualness (and Popular Support) to Thwart Any Opposition: The hidden agenda of the False Prophet will be to move step by step, always in two directions simultaneously (in the direction of seeming to respect Church teaching and in the direction of altering it seemingly for a good reason), such that the changes that will occur will be minor enough that the faithful will not be aroused or alarmed sufficiently to see beyond the apparent good will of the Pope. As such it will be too difficult to mount a clear defensive to stop him. By way of small almost imperceptible steps – whereby the updating of Church teaching becomes modernizing becomes actual change becomes heresy – with a progression that is ever so cunning that it becomes unstoppable, and in such a way that it is even defended by the faithful who are not aware of the deception and the agenda that is unfolding because of its gradual nature and the double-speak that surrounds it. Those who receive the Eucharist must “have the required dispositions.” (CCC 1388) They must be in full communion with the Catholic Church, accept all the doctrines of the Church’s Tradition, and be in a state of grace. Our Church is more and more under attack – from without and from within. What we will see is an attempt to fundamentally transform the Catholic Church, even from within her hierarchy. Is this not the very “doctrines of demons and pretensions of liars” that St. Paul warned would be sanctioned in the latter times (1 Timothy 4:1-2, 2 Timothy 3:1-5)? And if so, make no other conclusion, the wrath of God will indeed be directed against those who suppress the truth (Romans 1:18). Perhaps that can also be said toward anyone who suppresses the heavenly messages contained in these prophecies as well. 5. Instigates Divisions and Wars Secretly: The False Prophet will guide the Church to be caught up in revolutionary wars and internal divisions leading to a falsification of the Christian Faith so as to create a new religion fashioned in humanism, not Revelation, according to man’s ways, not God’s. Such wars are discussed as the second seal of the Book of Revelation, which will set the stage for the rise of the Antichrist who will come to power as a false peacemaker with his deceptively loving humane exterior. Be on your guard. Through his despicable deceit, the Antichrist will be seen as the messenger of love, peace, and harmony in the world. He will show a façade of charm, with seeming compassion and love for all. At this point, the False Prophet will be pushed to one side for a time, because the Antichrist will now enter the world stage, as foretold. When you hear the media reports of the new, promising, skilled, peace negotiator, you will know who he is. He will be a very close ally of the False Prophet and is under no illusion as to who he is. The whole world will then fall under his spell. He will confuse many and tell people that all things are good, when they are bad, and holy, when they are not. He will shield and promote the wolves that want to devour the souls of God’s children; but true believers will know who he is. 6. Supports the New World Order and One-World Currency with His One World Religion: The False Prophet will give over his mesmerizing global worldwide influence to the man of lawlessness who will arise as a (false) peacemaker to end the global war that is soon coming and to assist him in establishing the new-world order, which is discussed in Chapter 13 of the Book of Revelation. And the Antichrist will control humanity through the new one-world currency and the mark of the beast. Then the persecution led by the New World Alliance will commence. We must take courage and be ready to receive some blows for the Truth. As Benedict XVI recently said: “The courage of the truth is, in my eyes, a criterion of the first order of sainthood” in these times. 7. Eventually Assists in The Great Persecution: These two persons, the Antichrist and the False Prophet, are under the direction of Satan (the 3 together as an anti-trinity), and will bring all humanity to the brink of destruction. Persecution will evolve slowly and be subtle at first, following the law of gradualness. The False Prophet and the Antichrist will work in unison, in order to bring about desolation upon the world, which will result after the abomination in the Catholic Church has been fulfilled. All truth regarding Christ’s teachings will be twisted. Everything will be a lie. The False Prophet, who will head up the shell of the Catholic Church on earth, will order mankind to worship the human leader of the Antichrist rather than God (Rev. 13:14-15). His main job is to be the anti-John the Baptist, preparing the Church and world for the anti-christ. Then, the Sacraments will only truly be available from those priests (and other Christian clergy) who remain loyal to Christ and to the truths of the Faith. The problem is that those who side with the Antichrist and the False Prophet will be seen to be doing great good in the world, while those who follow the Laws of God will be demonized and sought out and persecuted. The Two Witnesses, the Catholic Church and the House of Israel, will testify against the false christ and the false church, and they will be persecuted, both externally and from within. A time will come when it seems both have been destroyed. But God will intervene, and they will rise again to form the New Heaven and the New Earth. Catholics believe that by the will and teaching of Christ, the Magisterium of the Church is protected with the charism of infallibility such that by the power of Holy Spirit the Pope cannot ever err in his official teaching on matters of faith and morals. The true Church will never err in faith and morals. As Catholics, we know this is true. So let no one tamper or interfere with the Word of God. On the other hand, if a Pope personally embraces a heresy (false doctrine or immorality), even in secret, then he is de facto no longer Pope. 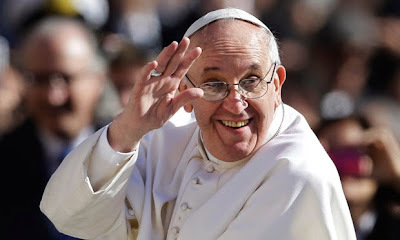 So then, if a Pope teaches a false doctrine (or changes doctrine), then this is the sure “sign” he is not a valid Pope, as I have addressed in my recent book, The Signs of the Times, and in a related article here. In such a case, his teachings should not be obeyed and he should not be followed. Faithful Catholics must be attuned to this possibility, especially given the heavenly prophecies related to this and given the serious concerns Pope Francis continues to raise, as well as the path he seems to be leaning toward. But, due to our required obedience to the Magisterium, we cannot decide exclusively for ourselves whether he is in heresy and thus invalid. We must wait until the Church’s otherwise highest authority (like Pope Emeritus Benedict) declares it so and presents the clearest evidence. 1. Remain obedient and vigilant. In conscience, heart, mind, and will – remain obedient to Pope Francis, and consider him a valid Pope – for the time being. Know that the Church’s Magisterium shall remain infallible, though not in the False Prophet (Pope) and his lies, whoever he is. Anyone who supports gay unions, birth control/contraception, abortion or euthanasia, women priests, watered-down doctrine and other heresies must be avoided. And given Pope Francis’ track record in light of the growing evidence of prophecy, we should stop praising him and his troubling actions; while standing loyally with him (for now) as Pope; praying for him; and asking for clarification, while remaining vigilant for the good of souls and the Church. We desire nothing more than to be faithful to the Pope. We must also see our way through this moment with solid reasoning and faith. This situation now requires a determined vigilance. 2. Remain alert and investigative. Don’t bury your head in the sand and hope it will all blow over. Given both the prophecies and the Pope’s track record of troubling statements, it is permitted and even proper given these circumstances to be evaluative and even somewhat critical of Pope Francis’ actions and teachings. As Catholics, it is permitted to consider the possibility that he may be the False Prophet, while not yet concluding it. Thus, at this point, it is not helpful to excessively praise everything he says and does, mistakenly thinking that this will make you a better or more faithful Catholic in the process. Instead, we should look at what he is saying and doing with a critical eye of reason, as the times call for it, while keeping our faith intact. Indeed, this situation that is brewing may scandalize us. But, let us recall St. Thomas Aquinas who quotes Gregory saying: “If people are scandalized at the truth, it is better to allow the birth of scandal, than to abandon the truth.” Remember, suspicion does not mean a conclusion of guilt, only the possibility of guilt, and thus the need for an investigation. And, as far as what we should do, just share these prophecies and papal concerns – “The truth is like a lion. You don’t have to defend it. Just let it loose. It will defend itself,” says St. Augustine. So be watchmen of the Church’s morals and doctrine and ambassadors of these heavenly prophecies. For a time still, even if things get worse, do not be surprised if even good Bishops and theologians are confused and misdirected in their leanings and enthusiasms. Soon enough, if things are as prophesy indicates, they will become clearer to them and to large numbers of the faithful. Be patient and persevering. 3. Remain United in the truth of Christ. What happened to – let your ‘yes’ be ‘yes’ and your ‘no’ be ‘no’? We will not allow our faith to be tampered with; we know our doctrines and morals are irrefutable and unchangeable. Even if some of the leaders of the Church want to change us (and Christ) or leave us (and Christ) behind – wanting to split us and divide us, we will not be divisive. If these prophecies are fulfilled (as it is evidently headed), then we shall not be dividing from the Church, but they from us. All that we need to do is stay right where we’ve always been in the truth of the Church’s faith and doctrine. Where the true Church will remain. Governed by the Word of God in the Catechism and the Bible, along with the true Magisterium. Will there be backlash for this article, probably. Will it be fierce, possibly? Why am I writing it? The fact is that Satan hopes to poison our minds towards the Lord’s prophecies and keep the veil over our eyes concerning the unfolding of his plans. We must realize this and try not to succumb to the evil one’s plan to divide us and to use each other to attack the other. He will turn one against the other. He will create doubts and divisions. It is clear that we must prepare for spiritual battles that will pour a terrible deluge of hatred not only upon these heavenly messages but also toward those who promote them. We must not allow these attacks to stop us. I recommend that we respond by ignoring these attacks, and that we move forward and give the world these heavenly messages as quickly as we can. Many, when presented with these messages, will feel a compunction to listen to them, as we do, and they will then be given graces to see the Truth of revelation and the truth of events as they unfold. Remember, you do not have to follow anyone who is preaching heresy (moral or doctrinal errors). There is a deceitful schism developing in the main body of the Church between Catholics who want to overthrow the Church’s teachings and doctrine and the faithful remnant who don’t. Those who promote apostasy, not the faithful who remain true to doctrine, will cause the new schism. When they go too far, if this is Pope Francis’ real agenda, then we will have to look to the “worthy Shepherd” of Benedict XVI to extricate the error and restore to the Church to its beauty (as Bl. Tomasuccio de Foligno prophesied a Pope would do). As to the rest, leave all to the Lord’s will. 4. Remain charitable. You will respond one way or another to the information in this article, by acknowledgment or disagreement. If you consider the possibility that these prophecies might be true, then spread this article. God does not give His prophecy to the few open-minded faithful only, but to all the faithful. He wants His revelation shared and spread, to anyone who will listen and respond. And realize that many, especially at this point, will not yet agree. They will not be able to see or consider the situation, yet. Do not try to argue your perspective. Present the information. Pray for discernment. Pray for the Pope and the Church, for true mercy, compassion, and unity. Let us pray for one another and for unity in the truth. Time will make things more clear one way or another. Pope Francis is either the False Prophet, which is a real possibility, or he is not, and someone else is. It is either going in this direction, or it is not, and criticism of this message won’t change it. If it is going in that direction, you will be glad God informed you through His prophecies beforehand anyway, even if you initially rejected them. 5. Remain hopeful. God is in control, and the events of these times are in His Providence. Remember that God brings good out of all things for those who love Him (Romans 8:28). And He foretold these things through Daniel and St. John in the Bible and through many heavenly prophecies, so that we would have courage as the events unfold and so that we would recognize that He wants us to respond with hope and faith in Him. Fear is not from the Lord. Make our own Psalm 91: I will say of the Lord, ‘He is my refuge and my fortress, my God, in whom I trust’… I will not fear the terror of the night nor the arrow that flies by day. Christ shall take care of us and our loved ones, and know that He has sent His Mother to assist us in a special way in these times. 6. Remain prayerful. Prayer is the only way to victory and peace. The prophecies of the False Prophet are close to fulfillment. According to the Book of Revelation, and these other prophecies, the False Prophet must be in place as the first seal in the Final Battle, even before the other seals of wars, famines, epidemics, the 1st seal of the great apostasy before the 2nd seal of the apocalyptic wars. The False Prophet will be the false Elijah, the false John the Baptist, who validates the rising anti-christ. Through his religious authority and global influence, he will help solidify the authority of the Antichrist. But, we in turn will assist in the defeat of the evil one. And to do this, we must pray. Pray, pray, pray! It seems the last Pope of Malachy’s prophecy may be in place and the great apostasy is commencing soon. For those who have eyes to see, the final storm is rising. We must bear witness to the Truth of the prophecies foretold, even as painful as they are. One thing about prophecy – it is never easy to hear, much less accept. But, the fruits of prophecy are always what the Church needs and what God wills. Thus, John Paul II is encouraging us from above: “This is no time to be ashamed of the Gospel… It is the time to preach it from the rooftops.” Whether Francis is the False Prophet as various prophecy indicates specifically and much other prophecy alludes to, this is both plausible and possible, but time will tell. We must pray for the Catholic Church, including Pope Francis, that all will remain in the Truth of Jesus’ Revelation and of His death on the Cross. If you share or repost this article, please do so in its entirety. Couragio! For more information on the prophecies of our times, go to www.TwoHeartsPress.com. from Vita Di Cristo: If we know Dr. Kelly Bowring for a long time, then we should think seriously, why now, on what joy he has come up with such an article. Like his books, he has taken a deep dive into all the prophecies, apparitions, visionaries, current affairs, etc… a thorough home work has been done to ensure his points are clinically correct. Why should a person who is so theological, who believes that stealing souls from satan is his main job, who always stood with the Catholic Church and it’s teachings – now prefer to pen his thought/spirit in this way. he then tries, analyses, read, spends time with some of his family & friends and taking several notes on this topic but those things could not offer him complete satisfaction. He then visits the Ultimate Physician (Jesus) and takes courage and approval. Why? Because he knows what the repercussions will be; he knows that he is travelling against the wind and he knows that some (most) of his friends may become foes later and chances of getting isolated are more… Still, why? Why he has to stage these things public. I find only one reason, he has become closer to God than ever before, he makes up his mind clearer and clearer, and finally, he becomes fearless (Spirit of God makes him to do so). Now, he is ready to face the outcome of this explosive topic, which may turn his career/life upside down but he is ready to face that. It is only because his personal bonding with God. He wants people to be saved. He wants people to open their eyes, if they are sleeping. He does not want people to land in hell as if dreaming that they are going for a vacation. He knows that he is (he may be) jeopardizing his career, life, etc… for God and he is happy with it. He does not think whether his books will not be sold like never before or he will be criticized, barred, etc… He does it from his heart. Through this he is aiming to save his soul and others. Now, let me come to this particular piece of work, I don’t see any blame game here, nobody is cursed, not used any harsh words. This work is a complete gift of Holy Spirit. What I see is that, Dr. Kelly checking and rechecking the points, going through the reference materials several times, writing and rewriting the points,finally getting ready to post this public. Dear Kelly, please correct me if i am wrong. May God bless you Dr. Kelly Bowring. Shalom.